Welcome to our Resources for UK Teachers website. Here we offer an unrivalled collection of high-quality practical and professional books for teachers, students teachers, teaching assistants and other education professionals. Whether you are undertaking your training, are newly qualified or a seasoned professional, Routledge Education has a book for you. Explore our range of highly practical titles, from leading experts in the field, in areas such as Classroom Practice, Early Years, Inclusion and Special Educational Needs, Primary Education, Secondary Education, Continuing Professional Development, Teaching Assistants, and more in the subject of Education. Are you looking for some inspiration? Our English Hub contains details of our latest practical and professional books to support literacy teaching in schools. 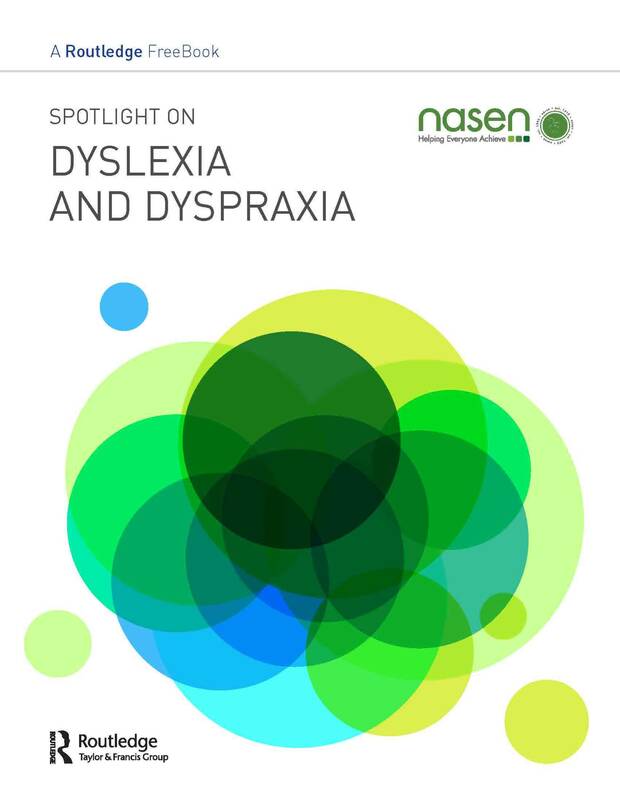 Brought to you by Routledge and nasen, Spotlight on Dyslexia and Dyspraxia has been written to help teachers, teaching assistants, special educational needs coordinators, and other educational professionals better support children with dyslexia and dyspraxia.